Okay, it won’t be the iconic 911, but neither will it be anything as oddball as the unloved joint venture between VW and Porsche, the mid-engined 914. What it will be is a 944. From 1982 until 1991, Porsche Australia imported boatloads of these things so there are still plenty about. You can forget about the 944 Turbo, though, and the rather excellent 944 S2 with its 3.0-litre normally-aspirated engine. 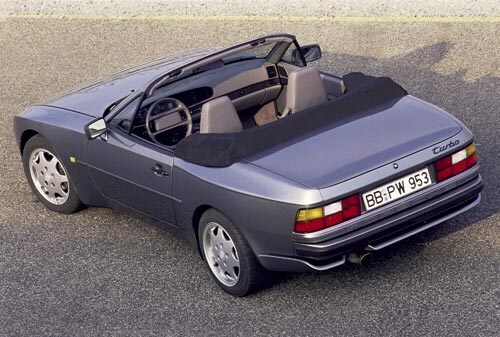 Ten grand means you’re shopping for a non-turbo 944 with the 2.5-litre four-cylinder engine. A facelift in 1986 included a much better interior, so if the budget will stretch that far, the update model is definitely the one to go for. If you check the classifieds, you’ll find plenty of cars below our budget cut-off, but look more closely and you’ll see the majority of them are automatics. There are two reasons for this. Firstly, the three-speed automatic just didn’t do justice to the 944 package so it’s less sought after. And, secondly, a one-make race series has thinned the ranks of good, manual-transmission cars. But for goodness sake, do yourself a favour and hang out for a five-speed manual. Not only is it nicer to drive, you’re also a much better chance to get your money back when you decide to move on. Unlike an auto, it’s also seen as a ‘proper’ Porsche. 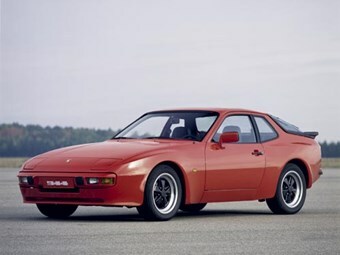 Had the 944 been the product of any company other than Porsche, it would have been a world beater. Problem was, the 944 had to share showroom space with the 911 – the car that refused to die and a car that continues to inspire passionate support among the faithful. Against the 911 – air-cooled, old-fashioned (even by 1980s standards) and flawed, but also adored – what chance did the 944 have? 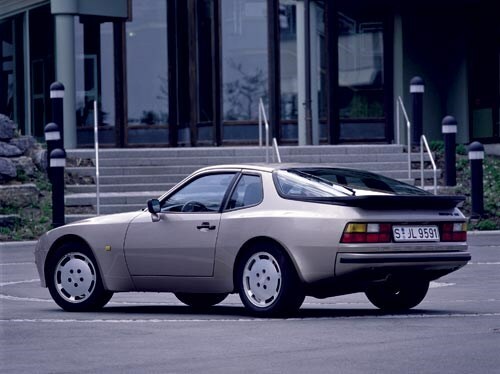 Of course, now that they’re available for pin money, the world has stopped dismissing the 944 and well it might, because there’s actually a very sophisticated, well-executed car under the rather heavy looking two-door body with its big glass liftback. Let’s start with the layout. Compared with the 911’s arse-heavy, rear-engined set-up, the 944 is light-years ahead. With the engine up front and a torque tube running down the middle, the gearbox is mounted between the rear wheels (making it a transaxle). Weight distribution, therefore, is superb, although those l-o-n-g gear linkages can make the shift a bit clumsy (more of which later). The engine is liquid cooled and has just four cylinders spread across its 2479cc capacity. A single-overhead camshaft operates the two valves of each cylinder and there’s Bosch L-Jetronic electronic fuel injection. All up, you’re looking at 120kW, which mightn’t sound huge (and it isn’t in 2012) but with plenty of torque and a smooth, easy feel, the 944 goes pretty well. Throw it up against the latest four-cylinder hot-shots and it’ll cop a thumping (Porsche claimed 0-100km/h in 8.4sec), but in isolation, there’s enough performance on tap to make each drive interesting. And when the road stops being straight, you might find a well set up 944 is pretty hard to follow. 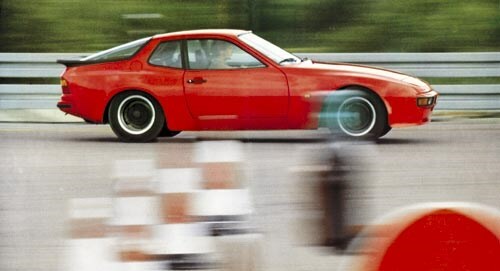 In fact, the 944 has one of the best-balanced chassis’ ever made. Provided it’s all in good nick, it’s still regarded as one of the best handling cars ever produced. It’s no accident that so many tarmac rally punters opt for a 944. So you’ve started shopping around…what do you look out for? Well, despite the 944 being made of pretty stern stuff, there are a few areas that can catch you out and cost plenty of money to put right. The first thing we’d be wary of is a privately-imported example. With so many Aussie-delivered cars around, it makes sense to go for one of those and know what you’re getting. A car that spent its first years in Hong Kong, for instance, will have been driven 30,000km in first gear and idling in gridlock the rest of the time. Cars from hot, humid climates can also succumb to the dreaded tin-worm, while it’s pretty rare to see an Australian-delivered car with serious rust issues. The engine is strong but relies on a timing-belt change every 60,000km. While you’re at it, the advice is to change the water pump and all the idler pullies at the same time (to avoid going back in later). This could soak up $2000 or so and is probably the 944’s most significant running cost. Examples that have been driven hard may also have clutch wear which will show up first as excessive backlash in stop-start driving. Bank on between $1500 and $1800 to put it right (it’s a clutch replacement job in other words). The torque tube/driveshaft that joins the engine to the gearbox contains a bearing that can eventually fail, but you’ll hear plenty of bearing noise from under the car before this happens. A sloppy gearshift is probably down to worn bushes in the linkages (but like we said, they were never rifle-bolt sharp to begin with) and any excessive vibration when the engine is cold is more than likely the result of worn, sagging engine mounts. The power-steering system is almost guaranteed to be leaking (usually from the reservoir) and anything more than a slight weep of fluid needs fixing. In fact, this is so common, one workshop we talked to reckoned it’d seen just one car without such a leak over the years. Inside, the 944 was a product of Europe in the 1980s, so expect the plastics to be past their best. Early cars were the worst, with steering wheels that delaminated and dashboards that sizzled in the Aussie sun and then exploded into a web of cracks, almost before your eyes. The struts that hold up the rear hatch are also likely to be buggered. Beyond that, make sure you don’t get fooled by a car that looks good externally but is actually quite worn below the water line. The impressive build quality of the 944, and the fact that it was sold as a prestige model in its early days, means that some can look a whole lot better than they really are. Prices now start at around $6000 but at that point you’re either looking at an auto or a scruffy manual that has covered lots and lots of kilometres. Up the ante to about $8000 and you’re into much better cars and if you have $10,000 to spend and some patience, you should eventually turn up a beauty (or two). 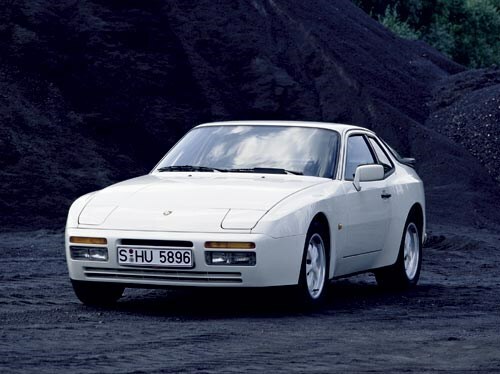 Believe it or not (and if you look closely, it becomes obvious), the 944 was a development of the Porsche 924. 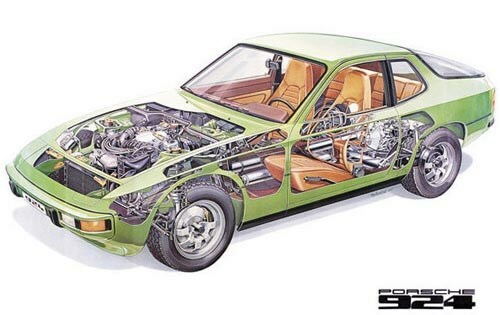 A bit of a toe in the water, the 924 was always criticised for using an Audi 2.0-litre four-cylinder engine. Porsche tried to make amends with a turbocharged version, but the damage was done. The 944, then, was designed to fix those problems and it did so with the use of a proper Porsche engine. But underneath, it used the 924’s basic structure (with more macho outer panels) and even used the brakes from the 924 Turbo. 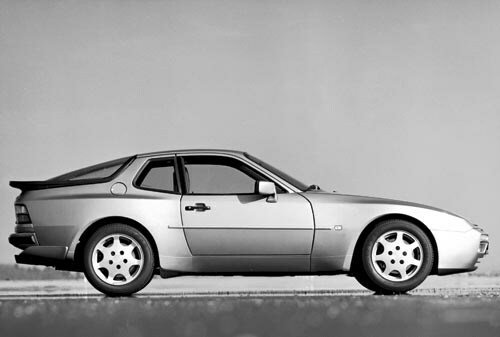 But it worked well enough that everybody forgot about the 924 and embraced the new guy. Beyond the 944, the basic design still had legs and formed the basis of the 968 which arrived in Australia in early 1992. With a 176kW 3.0-litre, twin-cam, four-valve version of the four-cylinder and a six-speed gearbox, it was a ripper car and is still highly prized by those who know their stuff.